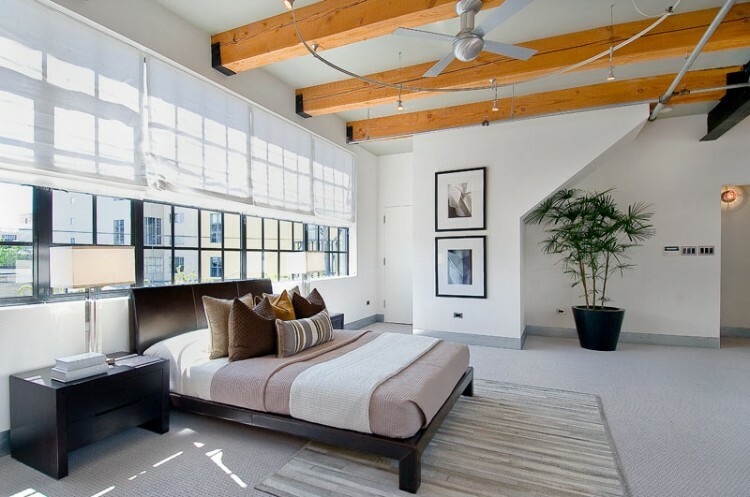 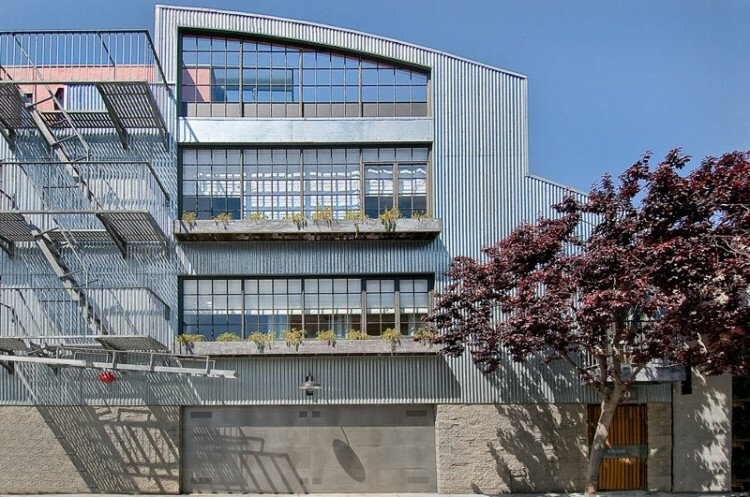 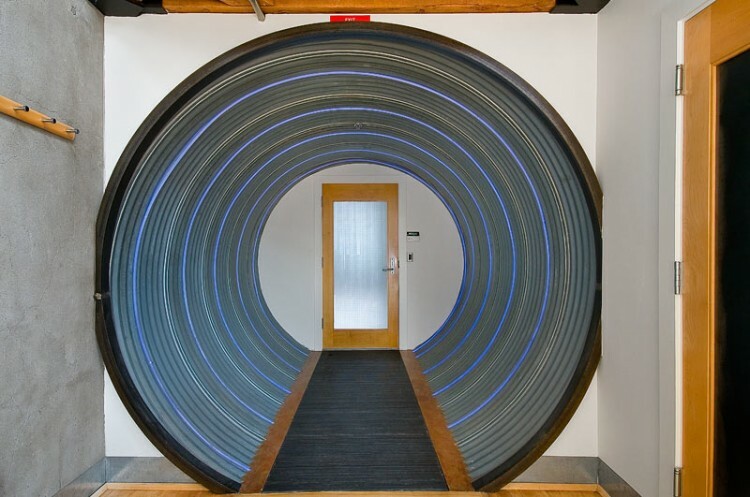 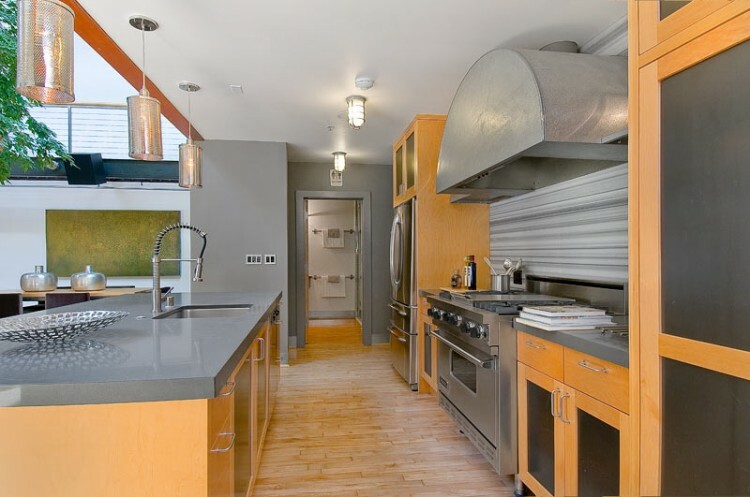 Developed by its former owner in collaboration with Martin Building Company, this stunning residence located in Soma, a neighborhood in San Francisco, California. 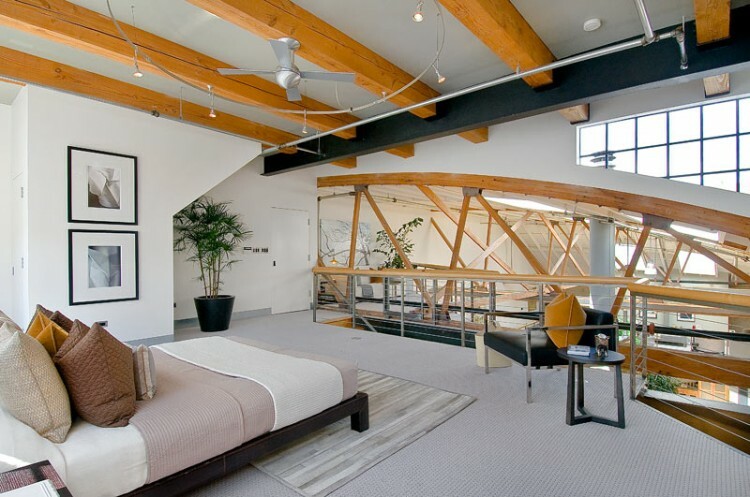 The residence “offers up an incredibly dramatic entertaining and living environment boasting unparalleled features and amenities. 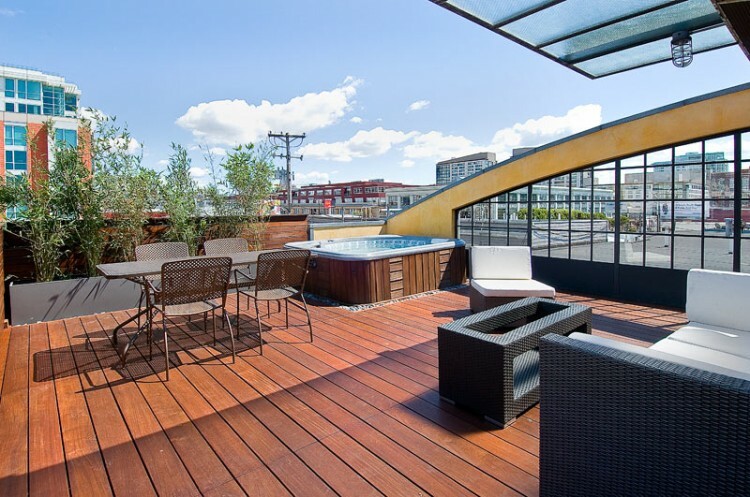 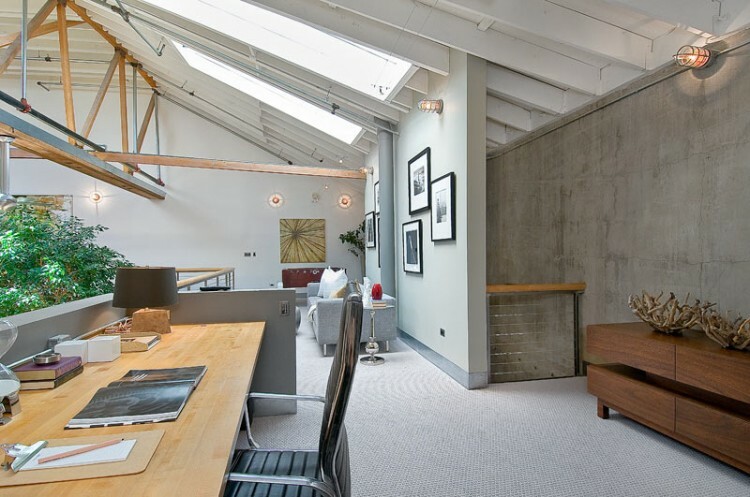 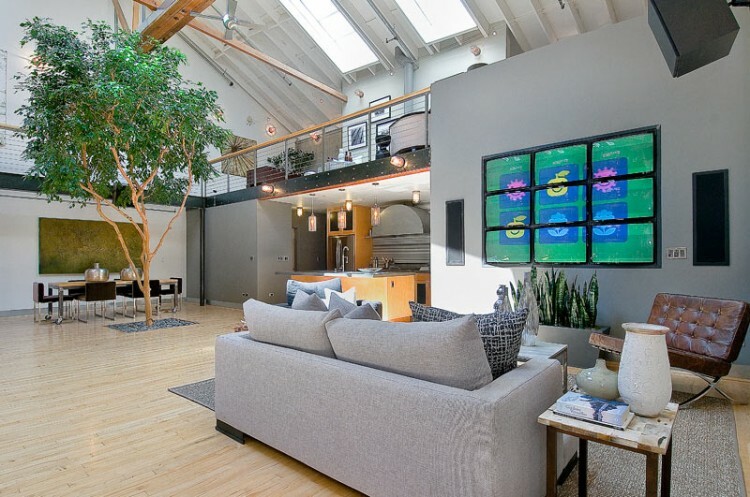 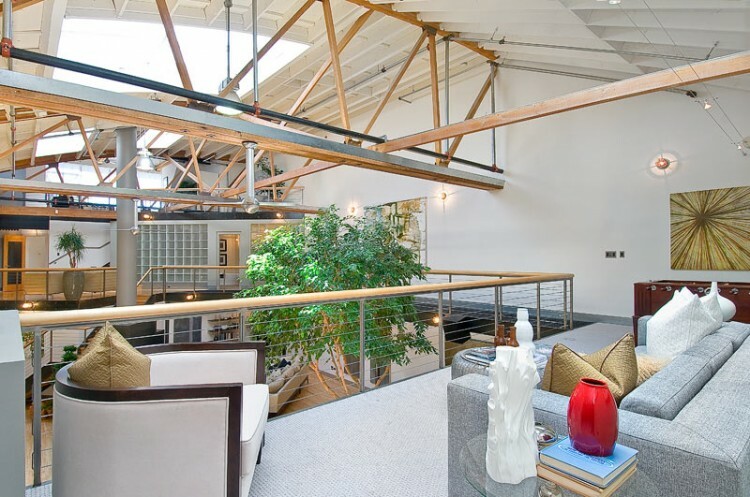 Set across over 5,000 square feet of total living space (4,400+indoor living) and featuring multiple levels of mezzanines, this loft is a work in visual intrigue and functionality. 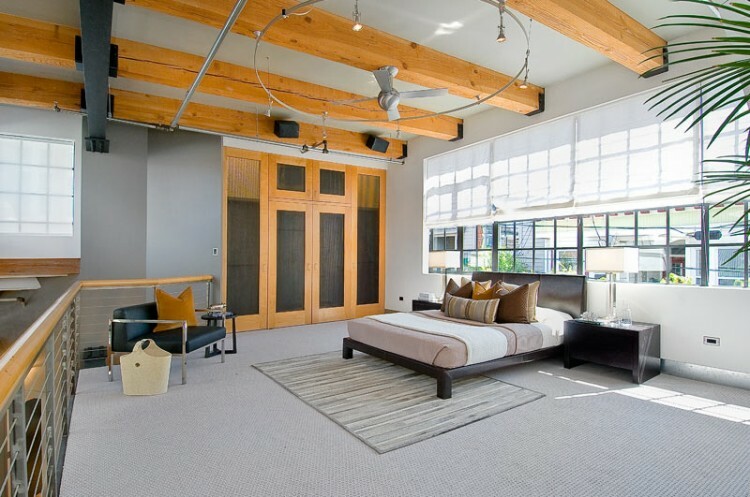 Converted from an original warehouse structure, the property’s radiant heated hardwood floors were salvaged from a Los Angeles airplane hangar and pay homage to that original hangar use reflected by nearly 30 foot exposed timber and white-washed ceilings. 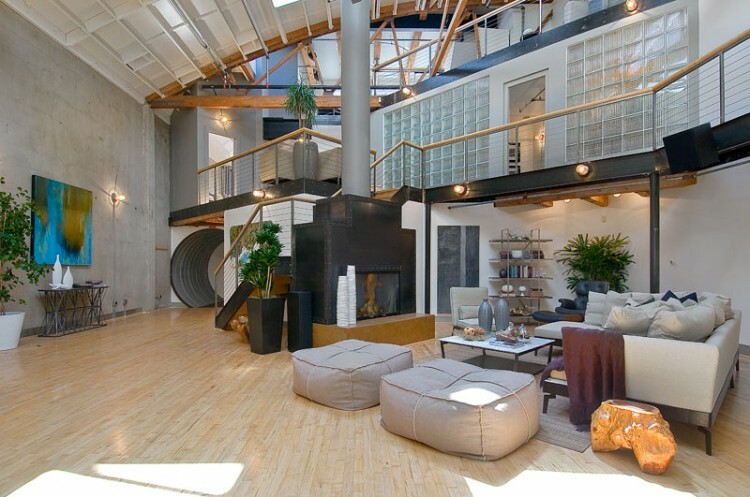 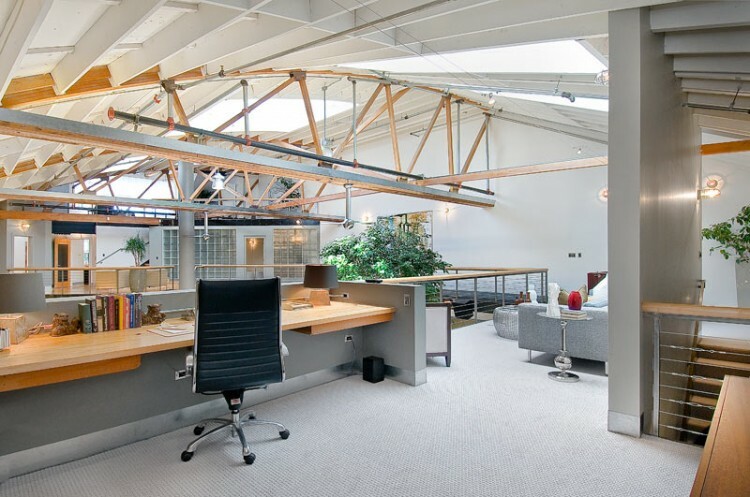 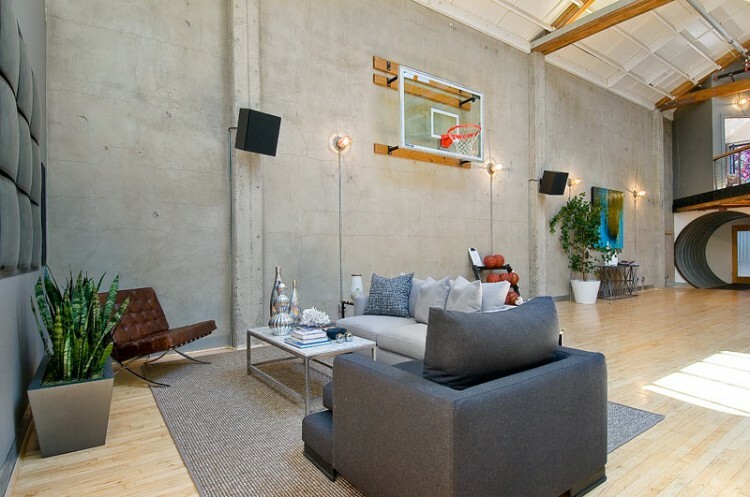 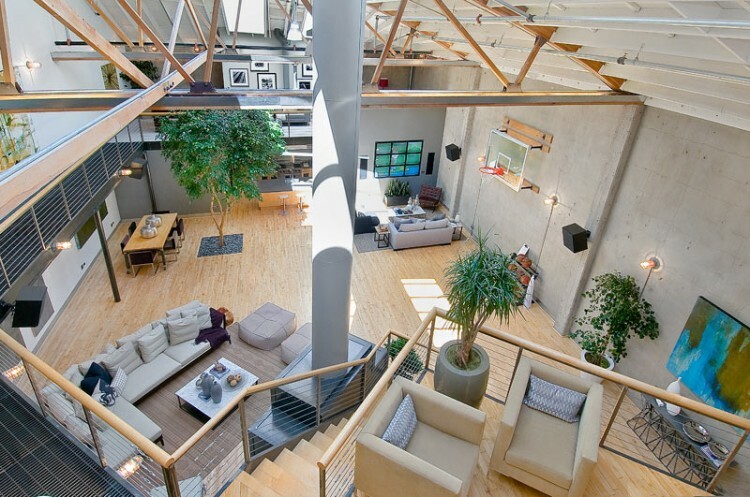 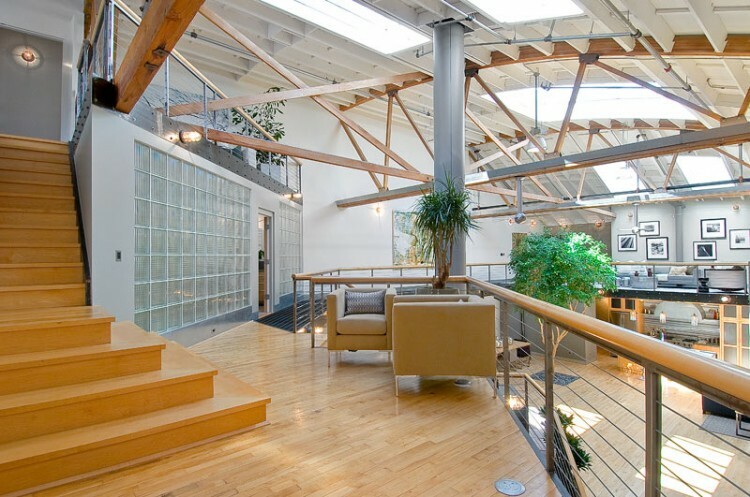 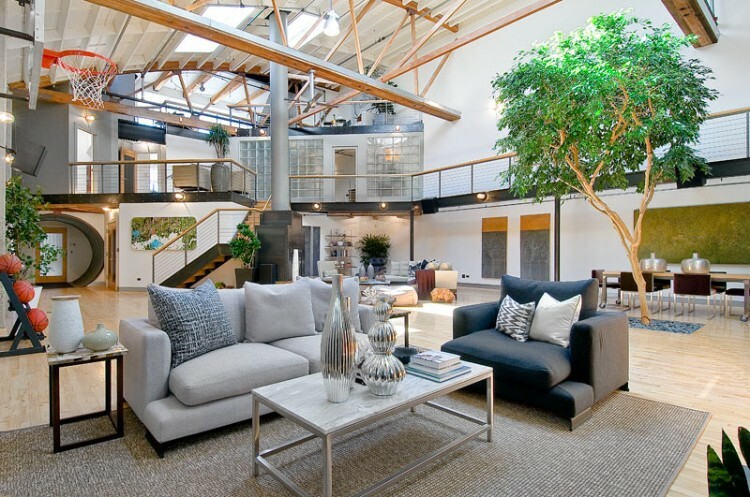 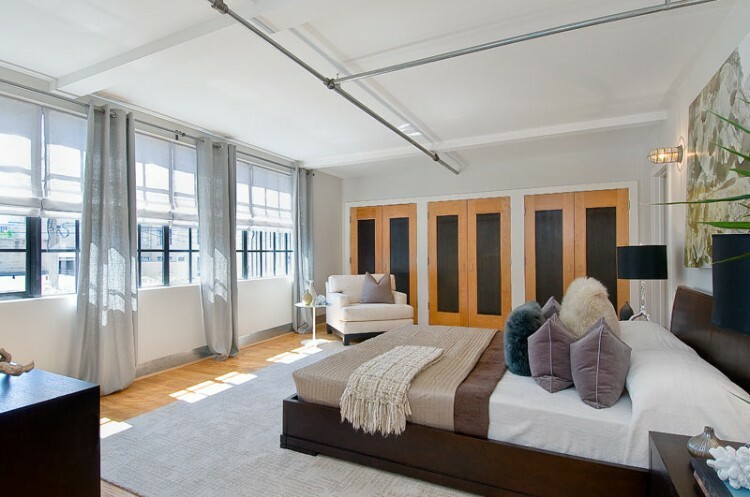 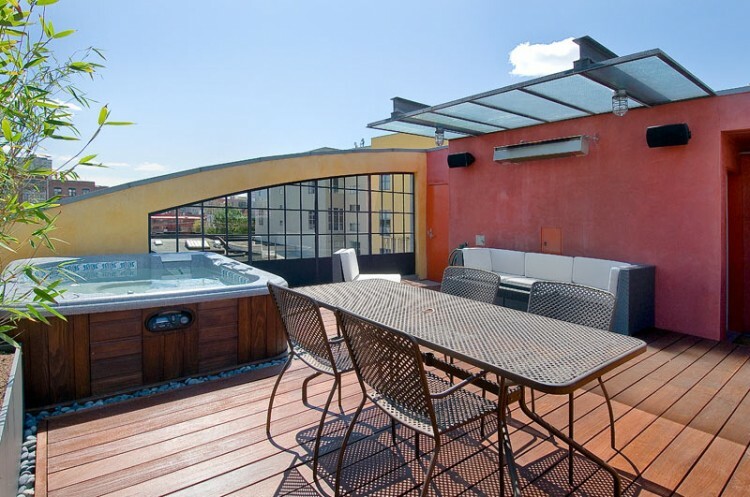 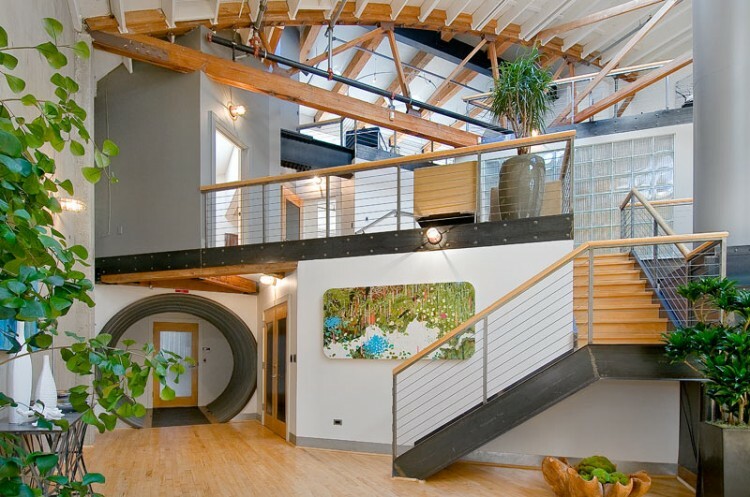 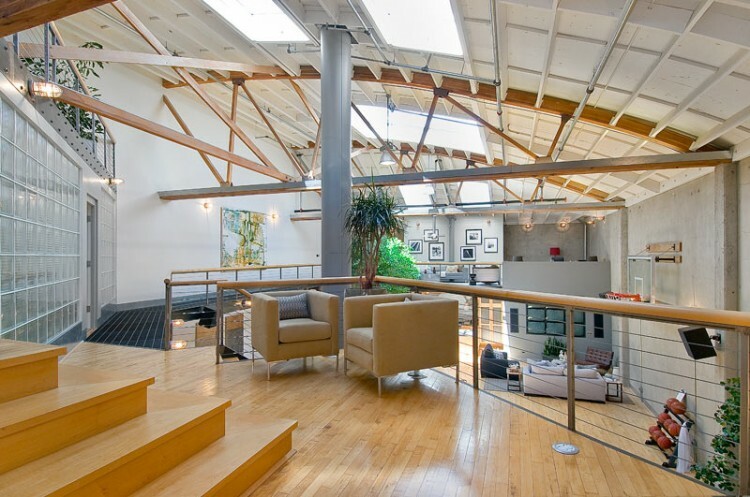 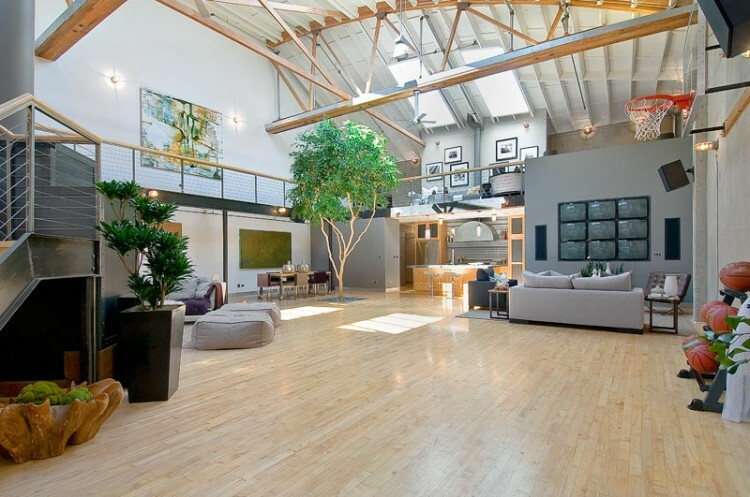 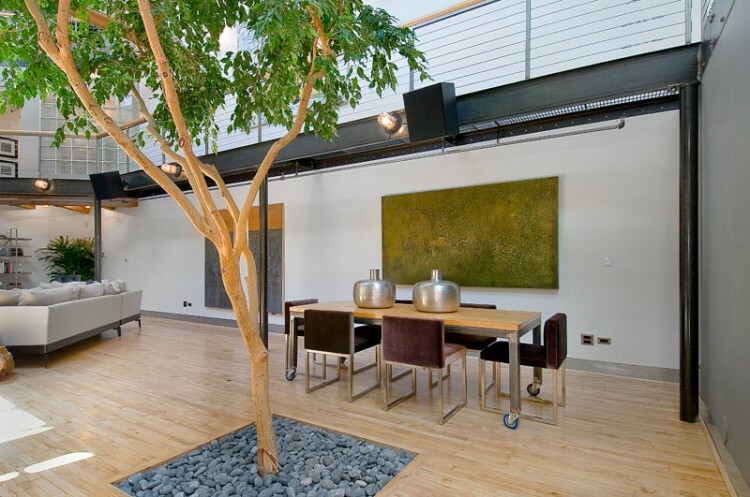 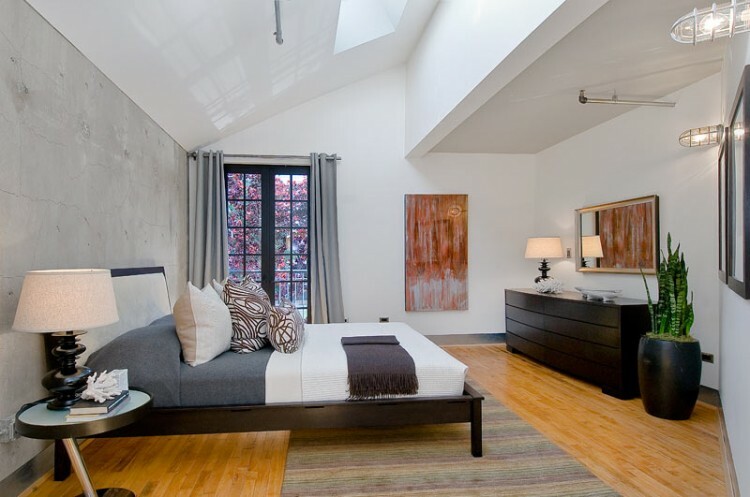 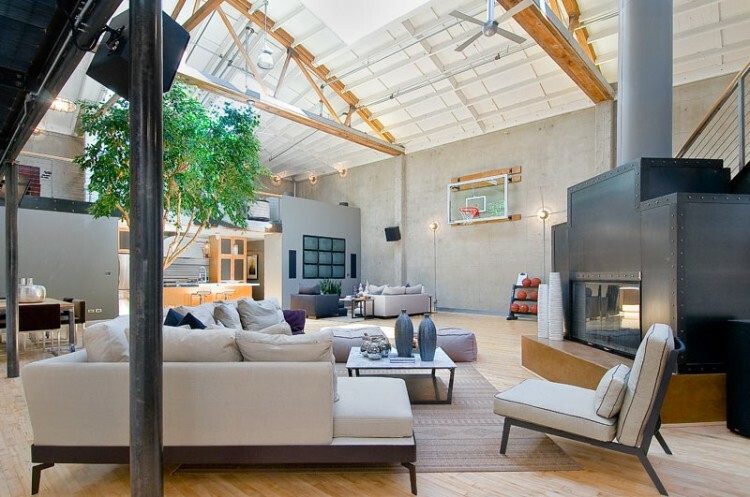 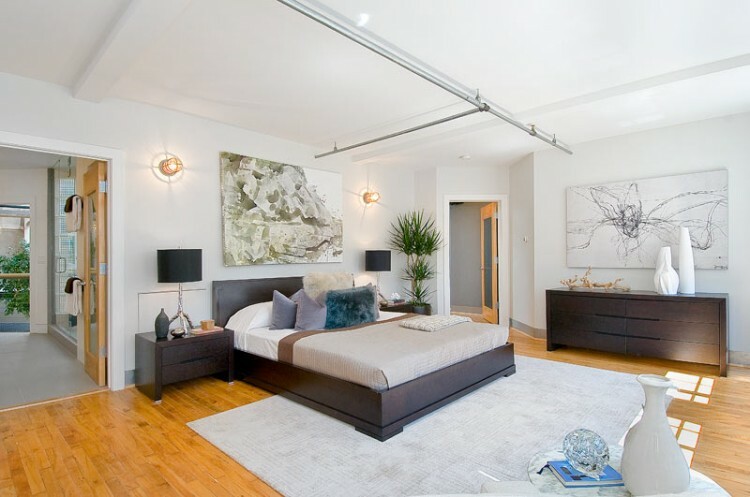 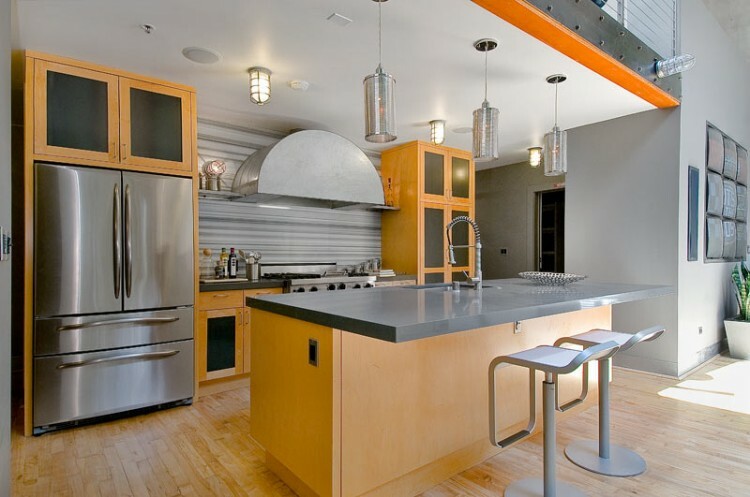 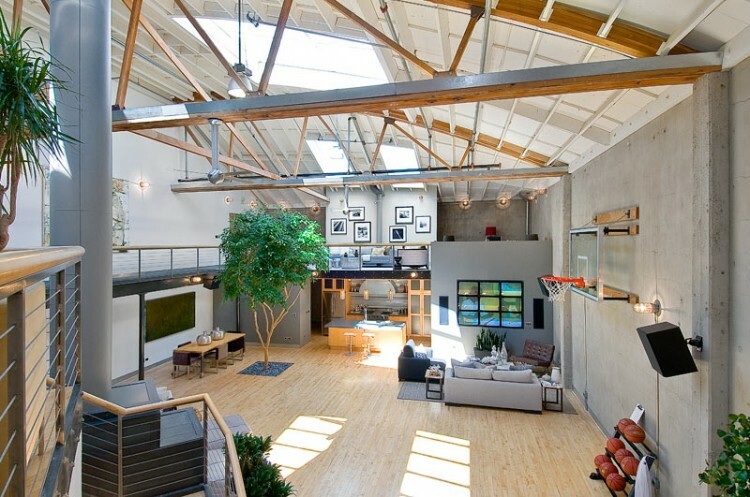 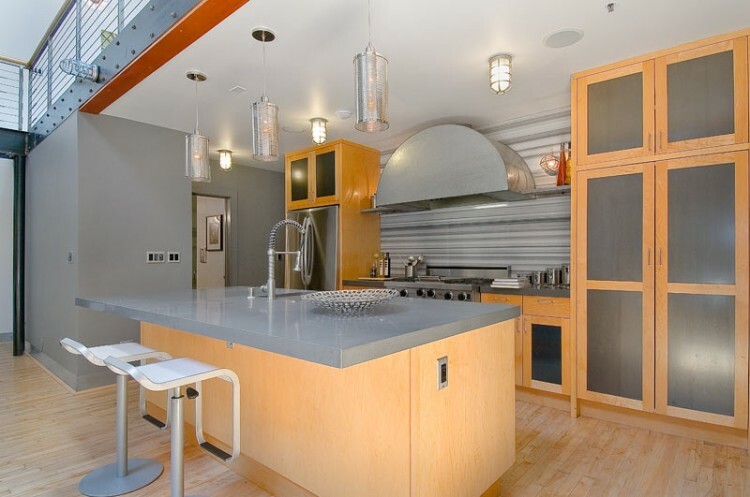 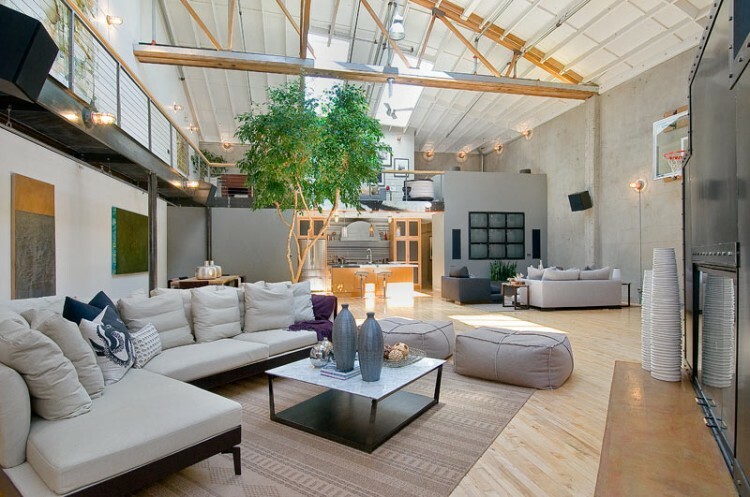 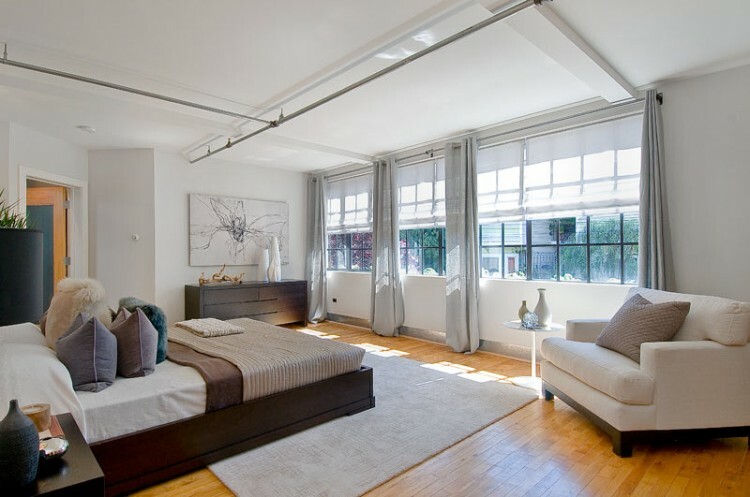 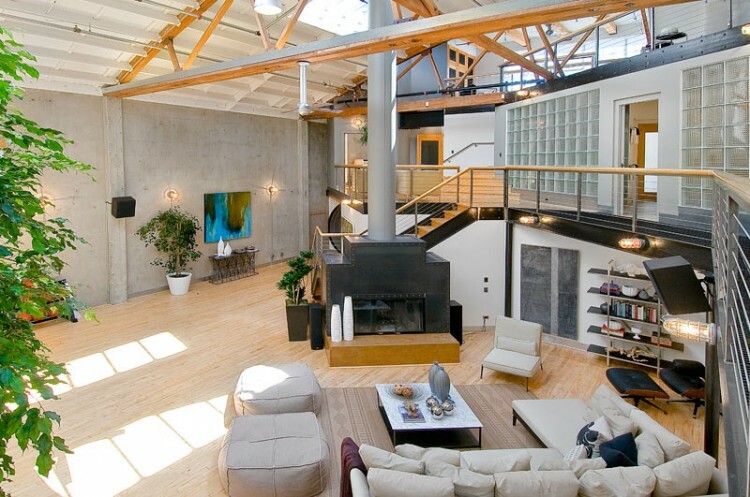 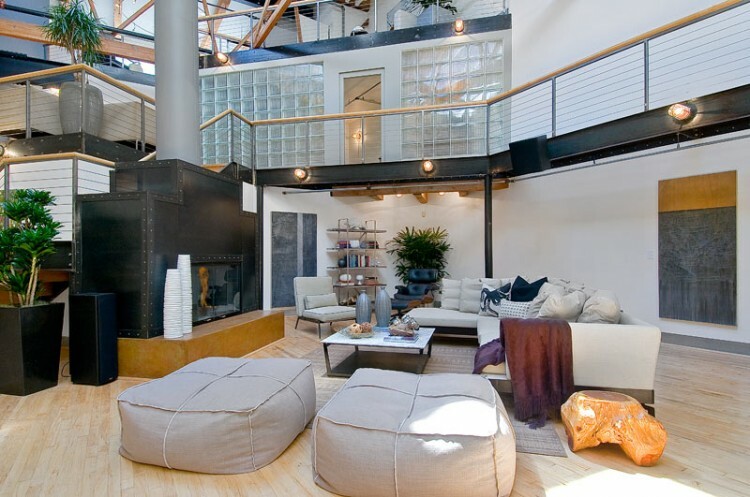 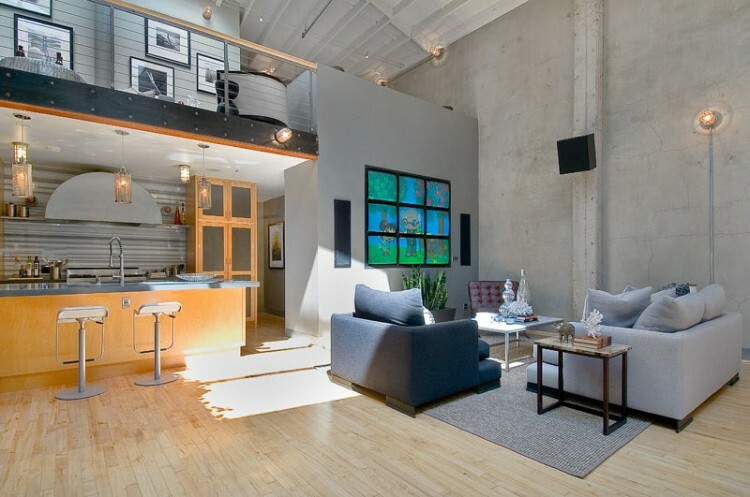 This loft was listed for sale April 15, 2011 at $3.1 million and sold for $3.32 million 11 days later: that’s a quick sale! 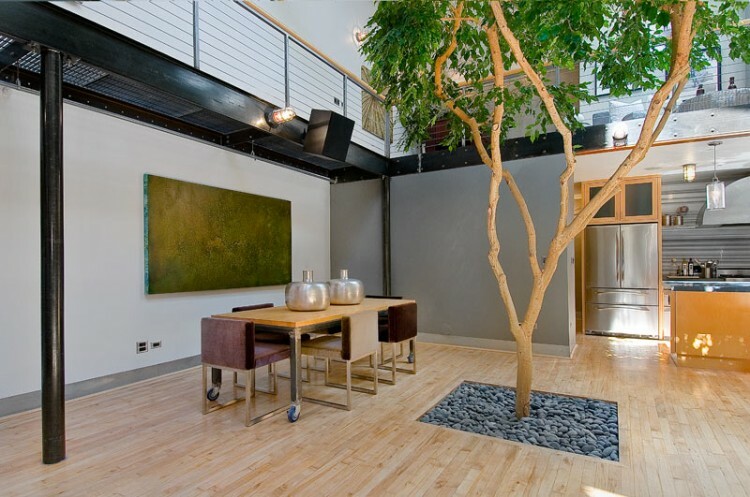 Does anyone know what type of tree that is on the main floor? 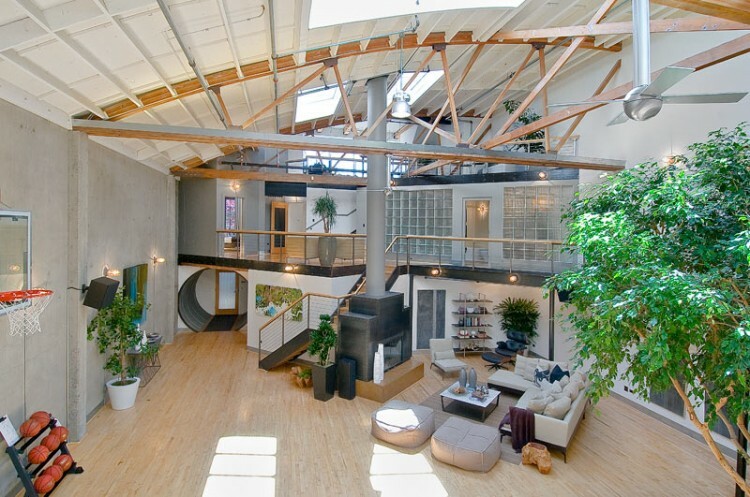 (The one that is planted in the ground) I’d love to get one for our house. 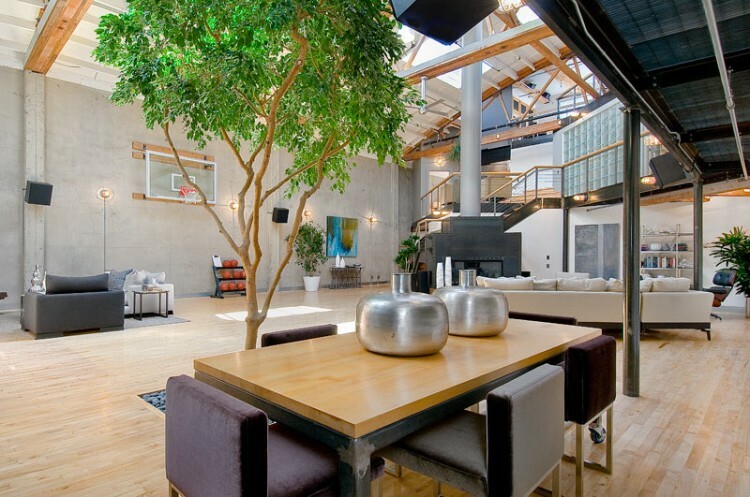 It looks like an artificial ficus tree.